WSSP.edu.pl / News / TPR – Temporary Residence Card Office Changes. TPR – Temporary Residence Card Office Changes. 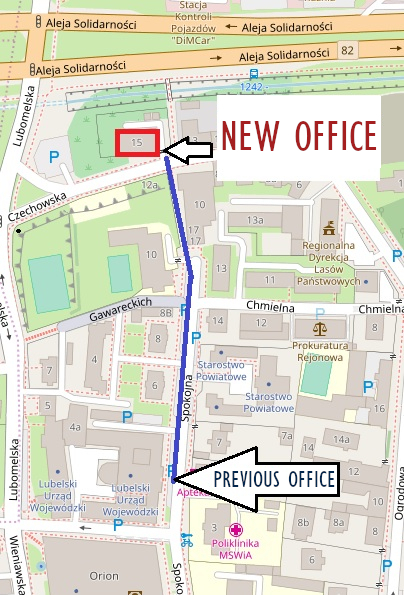 From the 3rd of December 2018 onwards, foreigners applying for a TPR – Temporary Residence Card (Karta Pobytu), will be handled in the NEW office of Lubelskie Province Governor’s Office in Lublin at Czechowska 5, instead at the old address at Spokojna.